Please call or email us with your vehicle and wheel information so we can build the adapters exactly to your specifications. 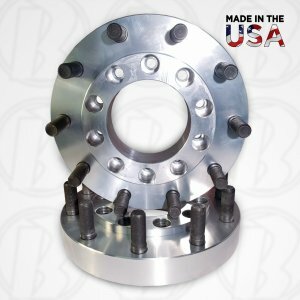 We build adapters to change your 8 lug truck to 10 lug wheels. We also build adapters to space out your exsisting 10 lug wheels. Pricing varies depending on your vehicle and application, please call (909)890-5544 for more details or to get a quote.